In the 1980s, techno music became big in the mainstream. It was heavily inspired by classic house and funk music and has many jazz influences. The genre became very popular over the years and today it is still big at a variety of clubs. Fast beats are very commonplace in the techno world. Songs can go from about 120 to 150 beats per minute in most cases. This creates a stronger and faster beat. 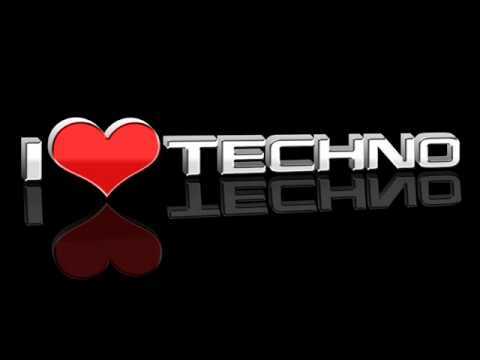 The sounds in techno music are known to be rather futuristic in style. These include predominantly keyboard-generated sounds and drum machine effective. This is mostly instrumental but vocals are typically gathered from samples of all sorts. Some artists do bring out live singers although this is not too commonplace. It is very easy to produce techno songs but it’s not always easy to do. Only the best techno songs can stand out and sound intriguing. This look at the ten best techno songs in the world includes many from a variety of great tracks from some of the greatest songs ever. These are still played at dance clubs today and have even gotten on the radio in some cases. Moby used the Laura Palmer Theme from Twin Peaks and added his own synth notes with an added singer’s performance to create a powerful and intense song. It is a rave-inspired track that offers an intense feeling. The song creates an open feeling that is unlike anything in the world. This Underworld classic has been made in a variety of forms ranging from ones with lyrics to instrumental versions. Some of these versions can last for ten minutes. The famous version from the Trainspotting soundtrack is especially memorable. The powerful pulsating beats go amazingly well with Karl Hyde’s strong and confrontational vocal style. Phuture used the Roland TB-303 synthesizer to generate this amazingly memorable song. The harsh and punishing tone was created by a strange form of distortion. It establishes a new way to make techno music and was critical to the development of acid techno, a popular subgenre. Justice made this intriguing song with a strong sense of distortion in mind. The powerful tune from this French duo is gritty and yet has a bounce at the same time. It is paired with fun vocal effects to get people out there to dance and have fun. While the Chemical Brothers have been icons in techno, they have made inroads in alternative music as well. This famous song of theirs features the swagger of alternative rock from the 1990s with a variety of great synth tones all over. This creates an intense style unlike anything else. While Daft Punk might be one of the hottest names in techno, its short-lived side project Stardust created this memorable French techno classic. The mix of modern house with disco music features a mix of old and classic styles. The vocals from Benjamin Diamond especially create an optimistic sound. Second Phase made this fun song with an intense synth beat. It features a progressively faster beat and runs faster and more intense. The powerful and fast vibe that goes from loud to quiet is used in many modern pop songs but Mentasm is a song that truly got it going. Hardrive recorded this track with a jazz-inspired beat with vocals from Barbara Tucker. The song is fast and uptempo while incorporating some intriguing jazz sounds to create one of the most fun beats around. The song is very infectious in its style and attitude. The two brothers who formed the British group Orbital claim to have use two separate drum machines, a Roland TB-303 and a sampler to utilize an easy-listening track with a fast series of beats to make this track. The song Chime is known for how it combines the classic stylings of early recordings with modern electronic sounds. It has influenced how many people use samples in their work when making techno records. One of the earliest techno hits came from Rhythim Is Rhythim’s famed classic Strings of Life. It uses a mix of piano and percussion samples mixed with a powerful beat reflective of classic dance hall music. The song exemplifies how the old sounds of the past that are familiar can be manipulated into some new styles.